Jury trials are not as common as they once were. As a “busy” trial lawyer, I only try 4-5 cases per year. This is way more than most, but still not enough. If I have a chance and have an adversary trying a case in which I am not involved, I will go watch them and study their “techniques.” I do this mainly to “steal their thunder” for any attempts at cuteness they may try. I also want to be aware of any attempts by them to thwart the rules of evidence, and to stop that in its tracks. You need to learn to get out from under cover and come bare your soul to the jury. How can you become close to the jury if you are standing behind a big block of wood? It is fine if you want to keep your desire to feel elite and above the plight of the jurors. However, if you want to start to try and become one with the jury, get away from the podium. If I see another plaintiff lawyer with a pen in their hand during voir dire, I am going to scream and get kicked out of that courtroom. Why is a pen so bad? Because you are taking your eyes off the jury! You should never do that. What’s worse is to stop your eye contact with a juror and write down what they say. Why are you doing that? You should have an assistant or second chair doing that for you anyway. If you can’t afford one, find a friend to come take notes for you. You are losing your jury by doing this people. If you could see how this looks from a juror’s perspective, you would NEVER, EVER do it again. Please stop this! During the last trial that I watched, I saw the plaintiff attorney listen to a woman tell a heart-wrenching story about how her son was involved in a bad wreck and had six surgeries, and was about to lose his leg. I know this attorney was nervous. The attorney’s response was… “Okay, thank you for your answer.” I know this was an oversight because this attorney is a very good person. However, this response showed zero empathy and it was glaringly evident to all the rest of us. Also, don’t leave the locked in gaze of your juror’s precious eyes until you have fully and 100% completely finished your engagement with that juror. How do you feel when someone is talking to you, then looks at their watch, and then turns away during mid-sentence and looks to someone else because they are done hearing what you say (before you are done saying it)? Not very special, huh? How does this juror feel about you now? Judges ask stupid questions all the time, such as “Mr. Jones, can you listen to both sides and be fair?” Who in the world would ever say no to that? Have you ever heard it? Of course not. You can have the most biased, prejudiced plaintiff (or defense) hater in the box and they are going to say “Yes” to that question. Judges can get away with it. WE, as plaintiff lawyers, CAN NOT. Is there anyone who has trouble giving money for pain? Good premise but asked the wrong way. There is very little chance the jury is going to be joining in a group conversation. Who here thinks that you should just give money to us if we don’t prove our case? Ughh. I know they are trying to be cute, but please… don’t. Let me tell you what this phase of the trial, Voir Dire, means. Not a question, but still, you should stay away from this. No one is here for a lecture. This is the most important rule. It may make you feel so good to be up there in front of the jury, and using terms like “voir dire” and preach to the jury. Does it make you feel better to be Mr. Know-It-All up in front of juror Joey Jones while you are prancing around back and forth showing him how smart and cute you are? I think we don’t realize how bad we can look because we can become self-absorbed in how well we perform. We are nervous. Worried. Scared. I get it. I have been there. You have to get out of yourself and you have to get into the relationship with the juror. Everything about a trial is about the juror. Never forget that. You have to realize that jurors do not trust you. You have to show them that YOU are different. If you do anything to act like a lawyer it puts you in their preconceived notion of how sleazy they think you are. Show them that you ARE different. In order to do that with any impact, you must BE a good person. I know this sounds to you like hocus pocus, but I believe it with every fiber of my soul. I think that if a juror can see the good side of me in a humble, non-assuming way, and IF I give them the respect and trust they deserve, they will fight for me and my client. The will do the right thing. Lastly, I believe that as people interacting with others we put out a vibe from our attitude and our heart. When I try a case, I am determined to LOVE my jury. They are MY jury. If I start out with distrust in my heart, they will see it. They will feel it. 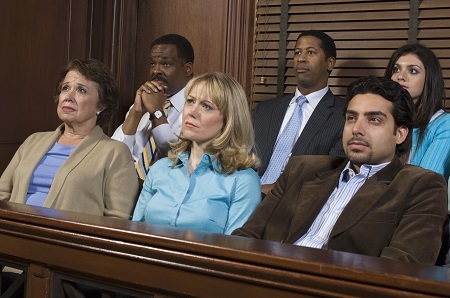 Jurors are smart, and you cannot be fake or a fraud in front of them. You just can’t and you need to acknowledge and accept that as truth. My last couple of trials I have won against overwhelming odds and when people ask me how, I tell them that I loved everyone in that courtroom. Even the opposing counsel. Even if they are being unfair, cranky… whatever. I asked one attorney to please stop being so disrespectful. We both have an important, hard job to do and we are not helping anyone by being unnecessarily contentious. It is a scary premise to love the jury and to not judge them before you know them. You have to get over coming to conclusions based upon how they look. I was tempted to disregard a tattoo’d up millennial with multiple piercings. That person really scared me. I showed him love in voir dire and we found a strong connection. He was an excellent millennial juror for us (that all the bugga bugga’s tell me to avoid.) The adage of don't judge a book by its cover is certainly true in jury selection. 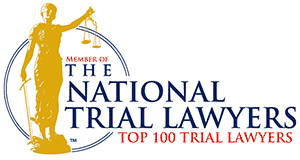 If you have a trial coming up and would like to bounce ideas off of me, feel free to call me. I have helped several lawyers who are in unfamiliar territory with lots on the line. I have even tried their cases for them with only 7 days notice (Wallace Ardry v. Home Depot, M2012-02667- COA-R3-CV, Giles Co., Middle Section TN Court of Appeals). Give me a call anytime.